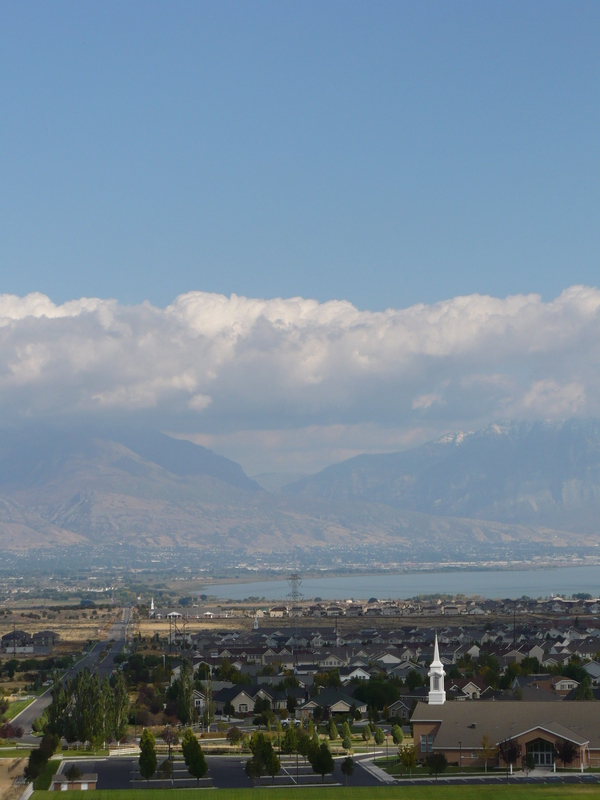 Wednesday, June 06, 2012, Eagle Mountain, Utah. Direct Communications began rolling out Wi-Fi coverage at select sites in Eagle Mountain this month, in conjunction with Pony Express Days celebrations in the city. The company deployed three towers before Pony Express Days, so that residents could enjoy internet coverage at the Rodeo grounds, Amphitheater, and carnival at Nolan Park. This is part of a larger effort to eventually blanket the entire city with Wi-Fi coverage. Directcom will deploy about 40 Wi-Fi access points at strategic sites in Eagle Mountain so that residents in Eagle Mountain will be able to connect to the internet no matter where they are. These sites will be directly connected to our fiber optic network. Directcom will deploy about 20 sites in 2012, and the remaining 20 in 2013. The plan to cover the City with Wi-Fi first emerged at the urging of Eagle Mountain City officials, who felt this would put Eagle Mountain in a strong position for economic development. Not only would Eagle Mountain have the premiere fiber-optic network in the state, but also the first city-wide Wi-Fi coverage in Utah. This Wi-Fi coverage is not intended to be a replacement for current home fiber-optic service in Eagle Mountain. Directcom’s existing residential fiber optic service currently offers a direct link to each home with a dedicated fiber line allowing up to 50 Mbps to each home. Like all wireless coverage, this new Wi-Fi service will be shared by multiple users at each access point, and will only be offered as a value-added service for residents who already subscribe to home internet service. City-wide Wi-Fi coverage has been deployed in other high-profile cities in the USA, starting with a municipally-funded effort in Philadelphia in 2004, and later in Mountain View, California, where a municipal wireless network was entirely funded by Google. Many of these have since failed or stalled as partnerships between private and public institutions fell apart, often due to troubles funding the build or maintenance of the system, because residents expected free service, but didn’t want to use public dollars to pay for the installation. How many towers are currently operational? Three, (Rodeo grounds, Amphitheater, and Nolan Park) with three more currently under construction. What speed will each tower be connected at? Each Wi-Fi tower will connect directly to our fiber network via an Optical Network Terminal, and the Ethernet connectivity for those can be set anywhere from 10 Mbps to 1000Mbps. At this stage we are planning to provide most towers with about a 50 Mb capacity. How much speed will each end user be able to get? Theoretically, up to 50Mb, but that all depends on how many devices were connected to that wireless access point at any time, their own wireless device technology, and other factors. We will look to beat or replicate a 4G experience for each mobile device. How much area do the towers currently cover? Each tower will have a radius of about 800ft, depending on line of site. However, with 40 towers planned to be operation by the end of next year, we intend to have ubiquitous coverage of both population centers (the Ranches and City Center) in Eagle Mountain. What percentage of city already has fiber to the home now? We have already upgraded 40% of the homes to fiber to the home, but we have a 6-year plan to upgrade the entire city to fiber to the home. What is the schedule for Wi-Fi roll out? 20 towers this year, and 20 more next year, with 10 in operation by end of this summer. Which towers will go live next? We are targeting sports fields and outdoor activity hubs, so the ball parks and soccer fields will get next priority. When did you start planning this? The city of Eagle Mountain is a forward thinking municipal entity and as such it began a dialogue with Direct Communications in 2011 about deploying a wireless network. The city views it as beneficial for economic development and Direct views it as a value added benefit for its landline broadband subscribers so they can avoid costly overages of the caps imposed by the many wireless/cell providers. We made the decision in 2012 to start deployment of a wireless broadband service then. Will you charge customers extra? What’s the pricing model going to be? We will offer this as a value-added service, so will probably include mobile Wi-Fi service free with a subscription to our premium home broadband packages.